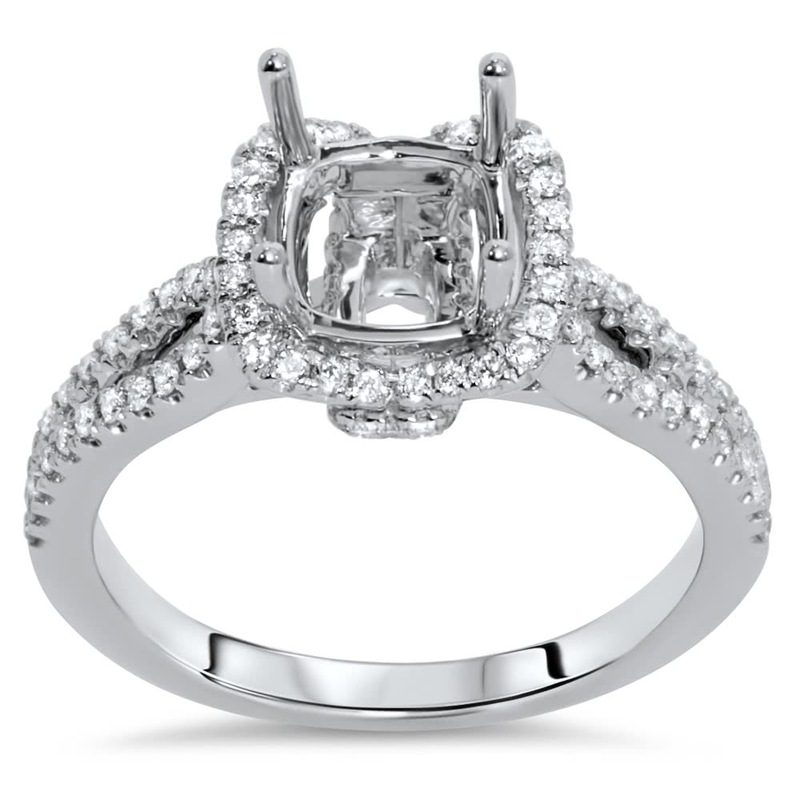 18k white gold engagement ring has a micro prong set split shank. 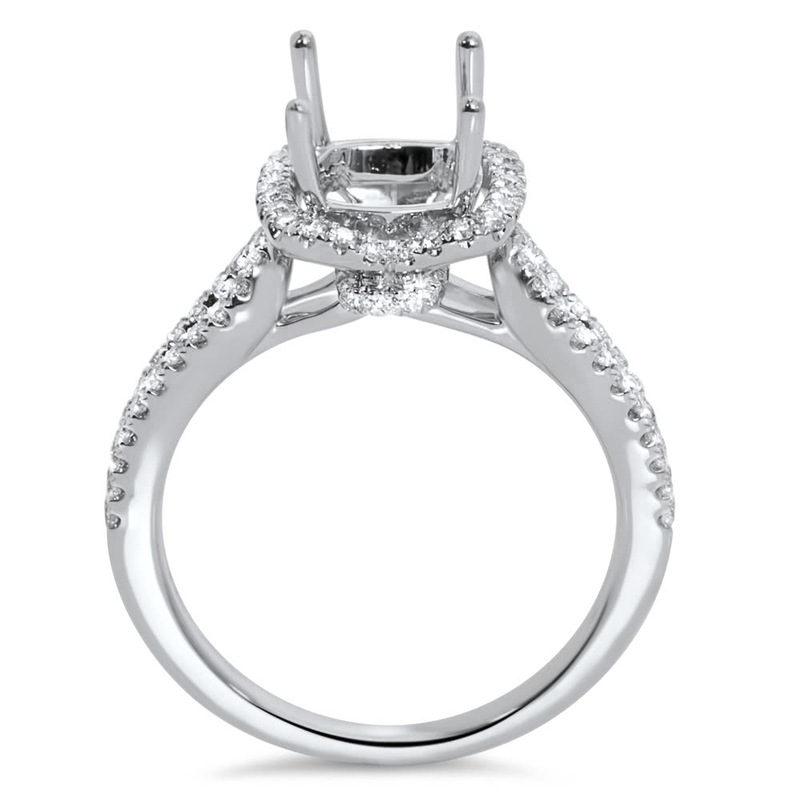 The unusual halo tilts inward on the back and front side of the halo. 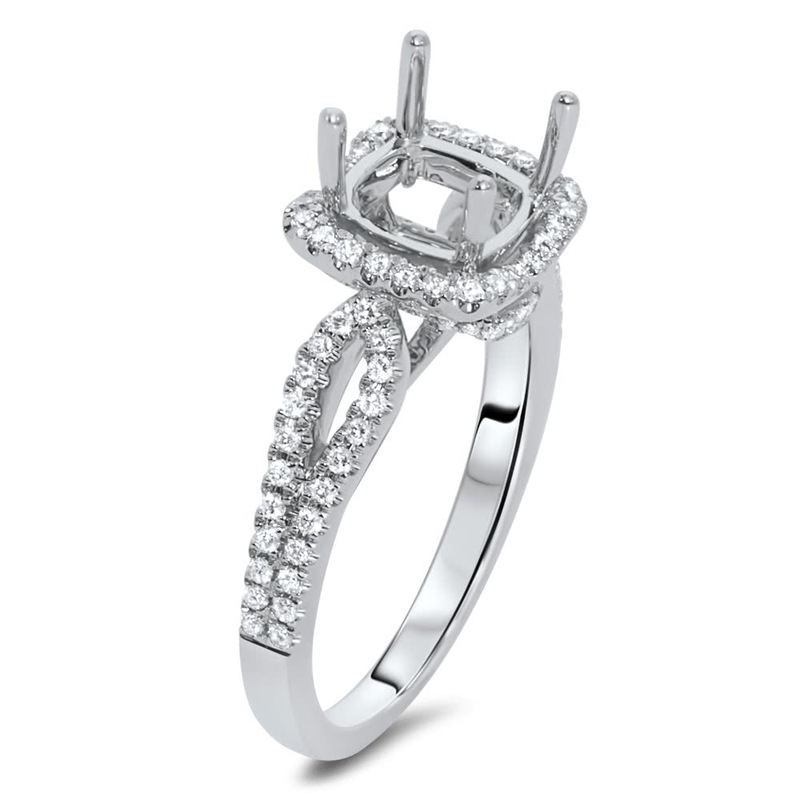 Beneath the halo is a micro prong set collar. The ring will hold a round or cushion shape diamond.